Miss Sue Flay is far from perfect and she doesn’t pretend to be, she is simply infatuated with good old fashioned etiquette and loves to share her knowledge and tips with anybody wanting to listen or learn from her. There are many modern etiquette guides out there, but Miss Sue Flay offers her own experiences and thoughts on every day subjects within her own working and personal life from subjects such as afternoon tea etiquette through to how to behave at a music festival. She feels there is a “lost art of etiquette” in our every day lives, perhaps due to people living a faster paced existence with the rise of mobile technology and a busier social life for many. It is simply unforgivable to show off poor manners and a lack of thought towards everybody around you. As a modern day woman, a shy farm girl, brought up by hard working parents, I was taught the difference between right and wrong, how to behave, when to write thank you notes (not facebook messages! ), how to hold my knife and fork at the table, all the elements to prepare me for a polite adulthood. My parents would have it no other way and will always, to this day, despair of me if I misbehave at the dinner table (of which I sometimes may do, simply for a reaction as I like to be a bit of a rebel). I am a firm believer in good etiquette being present to make others around you feel good about themselves and the best manners are when you are not picking on other people and their faults in a situation you may be in together at any one time. I find myself in certain situations such as being in the middle of an argument between a customer and a shop assistant, or seeing somebody behave ludicrously in my local coffee shop and I like to put together my own experiences and thoughts to help anybody who reads my guides think twice, remembering the importance of manners, should they find themselves in a similar situation one day. Simply put, it’s all common sense, but sometimes we all need a little reminder. 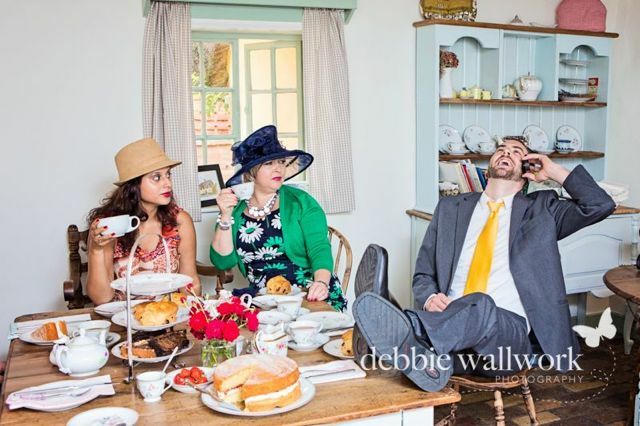 You can book Miss Sue Flay for an afternoon tea etiquette workshop either face to face or via webcam and if you are a venue looking for a critical eye and some housekeeping & service feedback, you could talk to her about a secret stay or review. 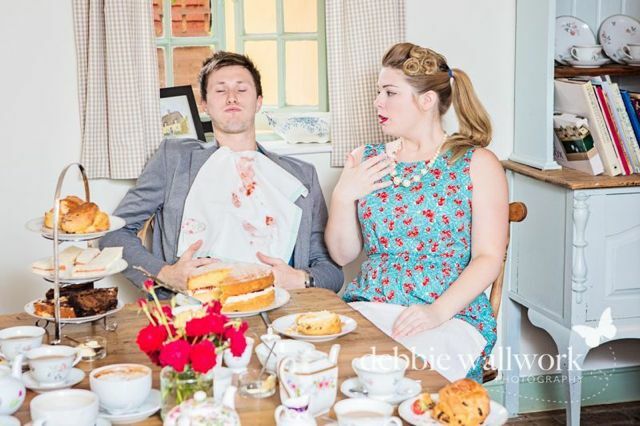 The Lost Art Of Etiquette: Is Afternoon Tea Right For Your Wedding?